My apologies for the dark, cell quality photo. I was so excited when I got home that I needed a couple photos. From there I obtained starts for a little jewel plant & a ghost plant from swapping cuttings on Reddit. 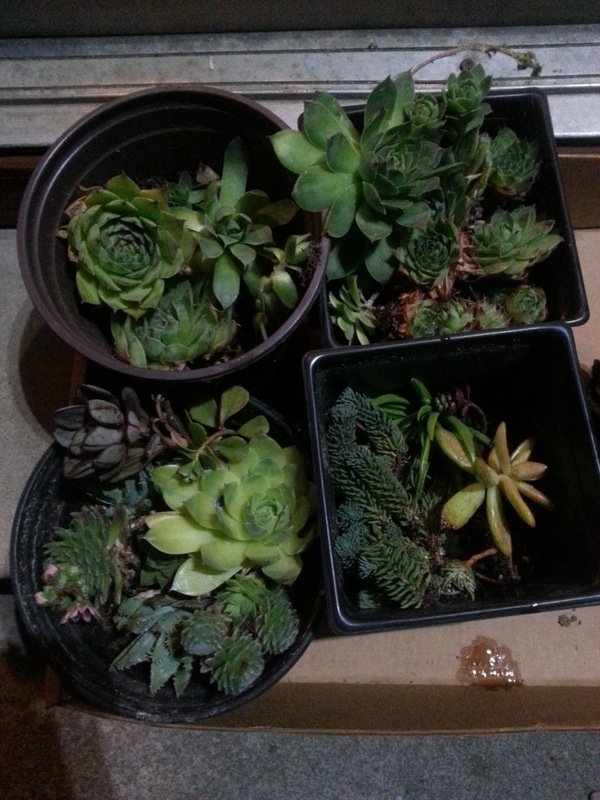 So what is it that makes succulents so appealing? For me, I find them visually pleasing because of their natural geometry. They are also relatively easy to care for, and self- propagate. 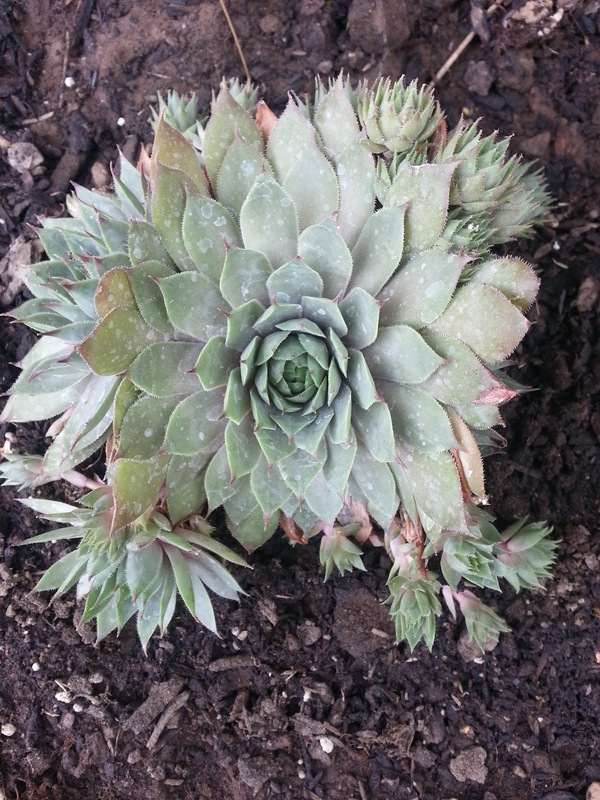 That cute sempervivum in the photo above produced all of those babies (aka pups) on her own. 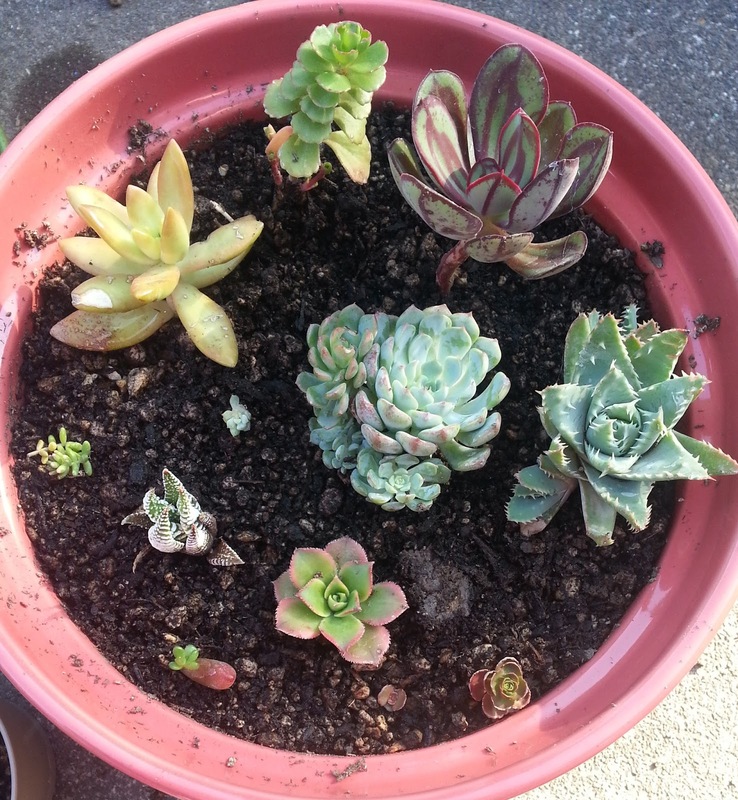 I could separate those out and have about twenty more plants. 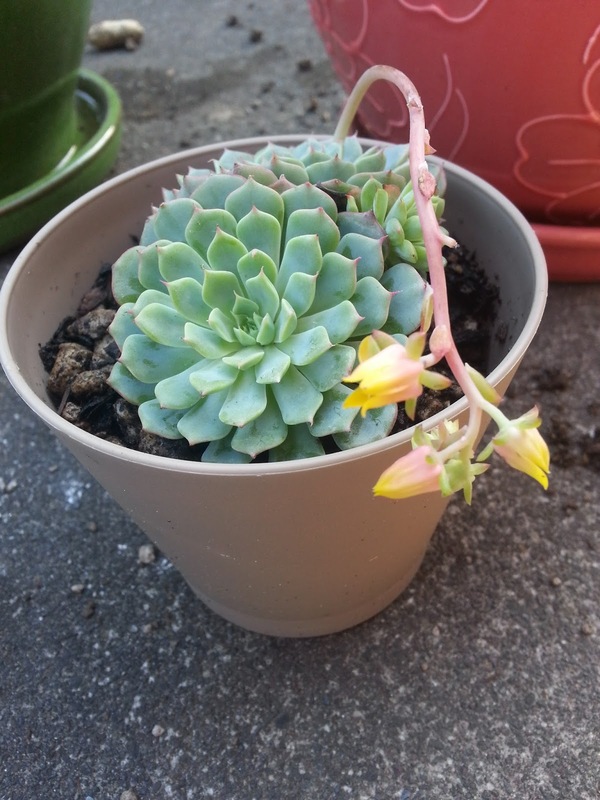 What are your thoughts on the succulent trend? Do you have a green thumb, or does everything you touch turn brown? 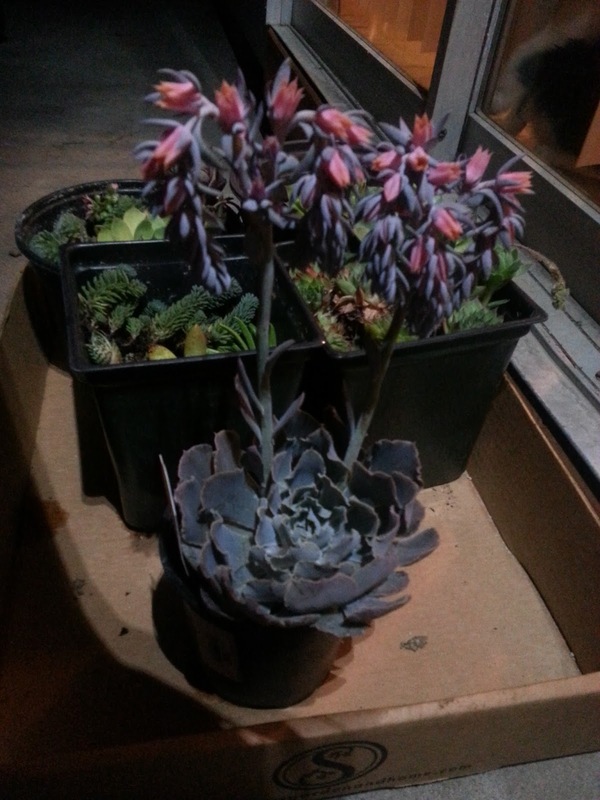 I'm not trying to pass judgement, but if you like plants and have a brown thumb, you should buy a succulent. 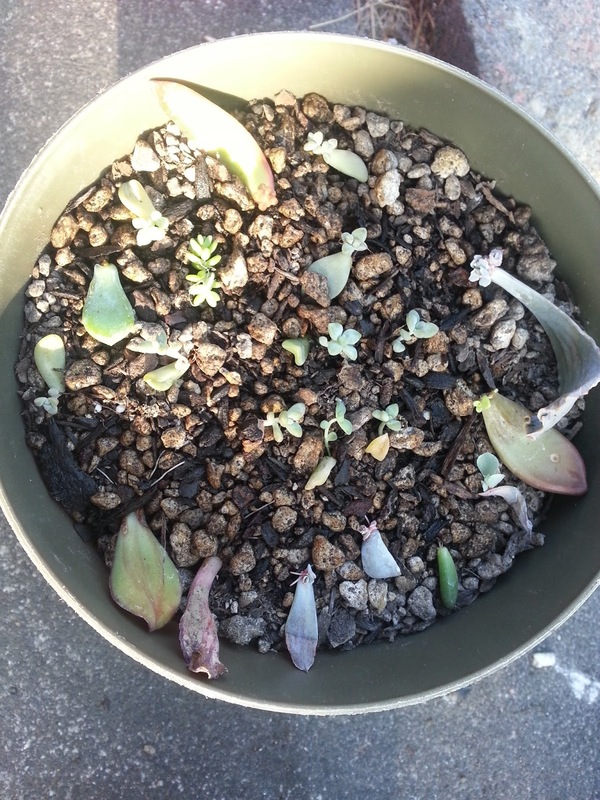 Frack man, I LOVE succulents, but I always kill them! :( I think I over water. I don't know. I've killed cacti, nothing is safe. I used to have a dozen plants on the go. Now I have three left. I'll just live vicariously through you, sound good? Done deal! I bet you do over water them. I had to break that habit quickly. You only water when the soil is dry. During the winter, that could be as little as once a month. 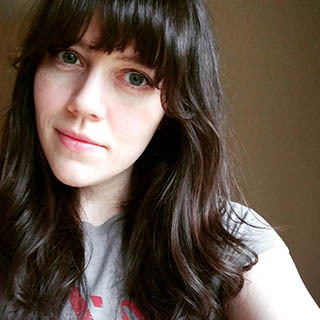 I would totally send you some babies, but I think customs would flip out. I kill ALL THE THINGS. I want to do some cool succulents in a miniature cemetery setting or something. You're inspiring me with all your cute little creatures.